The bill will likely be challenged in court because it undercuts longstanding rulings on abortion rights. Rep. Joe Fischer, a Republican from Ft. Thomas, said he hoped that a new class of conservative federal judges appointed by President Donald Trump would rule favorably on the bill if it were challenged in court. “As we continue in this great battle, let us pray for Sen. McConnell and President Trump to bolster our federal judiciary with men and women who will reverse the holding in Roe v. Wade and restore the commonwealth’s authority to end abortion in our lifetime,” Fischer said during a rally on Thursday. The 1973 Roe v. Wade decision bans states from restricting abortions before the fetus is viable — the point at which it could survive outside of the womb at around the 24th week of pregnancy. 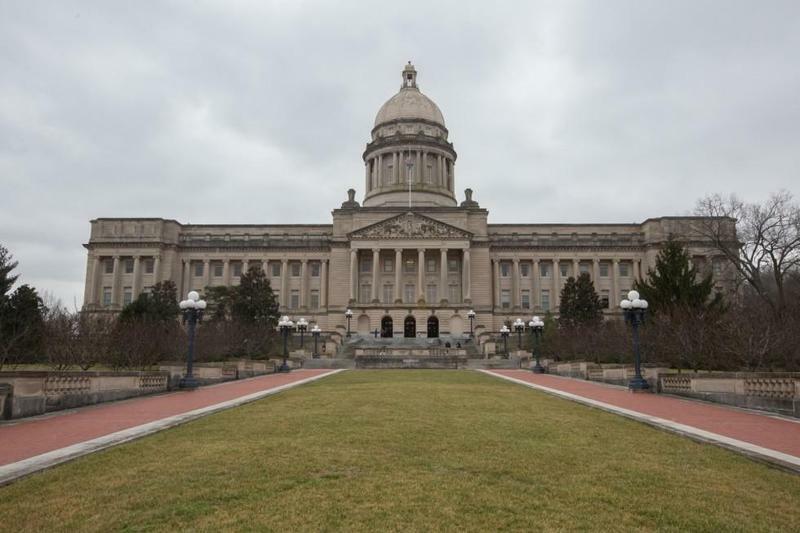 Kentucky is one of many states where heartbeat abortion laws have been proposed, though all of the measures have either failed to pass or been struck down by federal courts. Ohio Gov. John Kasich vetoed a similar heartbeat abortion measure as one of his final acts in office. 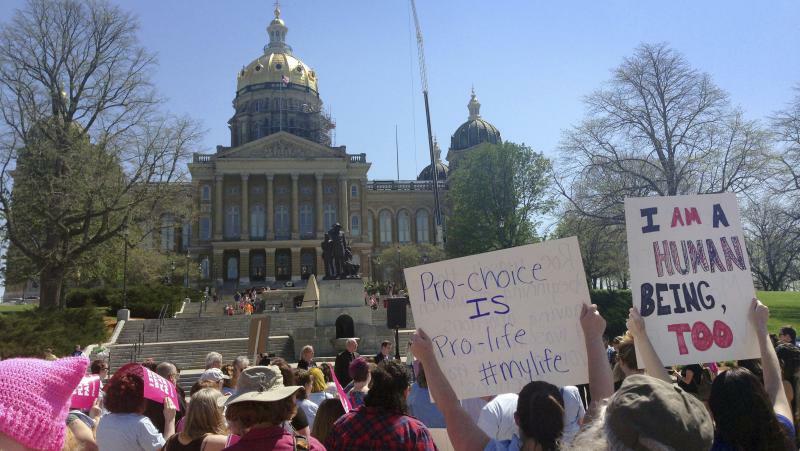 A proposal that passed out of the Iowa legislature earlier this year has been blocked while a federal lawsuit over the challenge is pending. Tamarri Wieder, director of external affairs with Planned Parenthood of Indiana and Kentucky, said that conservative legislators across the country are racing to have their abortion proposals heard by the U.S. Supreme Court. 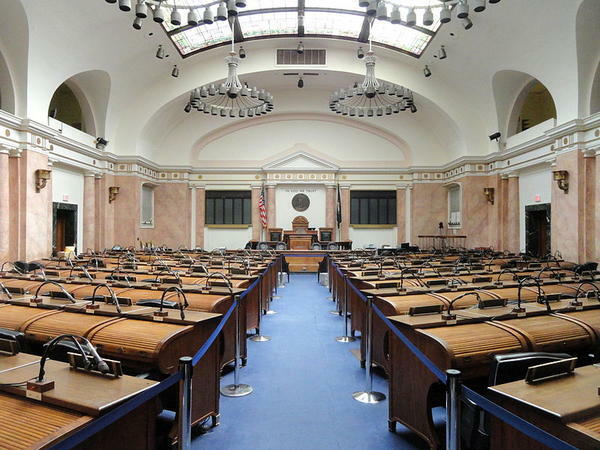 Nineteen members of the 38-seat Kentucky Senate have signed on to the heartbeat bill and an identical version has been filed in the House. For this year’s legislative session, lawmakers have also proposed a bill that would ban all abortions in the state if the U.S. Supreme Court overturns Roe v. Wade; a ban on abortions based on race, gender or disabilities like Down syndrome; and a requirement that doctors report all medical abortions to the state. Kentucky has passed a flurry of anti-abortion measures since Republicans took full control of the legislature for the first time in in 2017. Courts have ruled against Gov. Matt Bevin’s defense of two anti-abortion policies over the last year — striking down the state’s new ultrasound abortion law and a requirement that abortion providers have written agreements with a hospital and ambulance service. A ban on “dilation and evacuation” abortions has also been blocked while a lawsuit over the policy is pending. Copyright 2019 WKMS. To see more, visit WKMS.